When it comes to air conditioners, the name Carrier does not need an introduction. It has been cooling and heating homes almost for a century. The company has been helping people regulate their home comfort with state-of-the-art solutions ranging from furnaces, central air conditioners to air quality products. Their products provide consistent temperature, regulate humidity and air quality, and meet the Energy Star guidelines. Infinity Series is one of the most energy-efficient product lines from Carrier. Let’s take a look at the top features of Carrier’s Infinity Series. 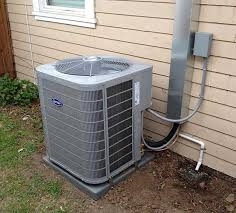 The SEER rate of an air conditioner is a key factor that decides its efficiency. The air conditioners in this series have a SEER rating of upto 21. The higher the number, the more efficient the unit is. 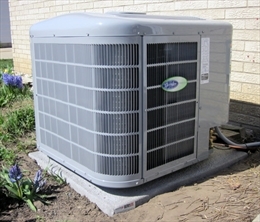 All Carrier air conditioner products meet the ENERGY STAR guidelines for efficiency. The Infinity Series products are properly sized for optimal performance. They come within a size range of 1.5 to 5 tons. Their indoor coil components are matched to conform to ENERGY STAR criteria. The air conditioners of this series offer whisper quiet operation with sound level as low as 66 decibels. The units are integrated with Carrier Silencer System II that allows quiet operation inside and out. They have quiet motor mounts, forward swept fan blades, and a compressor sound blanket, a laminated sound elimination compressor mounting plate, and a unique top with integrated silencer airflow baffle. The infinity series are equipped with Infinity Touch Control. The top-notch models in this series can be controlled through your smartphone. The air conditioners have two-stage compressors. These run at lower speed for a longer time. As a result they are able to purge the humidity from rooms more effectively. The air conditioners are designed to give ultimate comfort. The outdoor unit of an air conditioner is often susceptible to damages caused by harsh weather. The Carrier infinity series is designed to protect the outdoor unit in inclement weathers. Weather Armor Ultra Protection is specific to Carrier and protects the AC unit from external factors. The units of this series also feature a steel, louvered coil guard. This increases its durability by many a times. The air conditions are encased in housing of galvanized steel and features baked-on powder coat paint. Carrier's warranty on the Infinity Series is 10 years on the compressor and 10 years on parts. This is good enough, indeed.